If you are looking for deals and discounts on moving companies in Denver Colorado then you’re at the right place. Stallion Moving Services has the movers deals and discounts to help save money on moving your home or business. Call our moving company today for a free moving quote. We look forward to being your mover. Save yourself from the hassle of having to move your stuff around. Hire the right people to do the job for you. 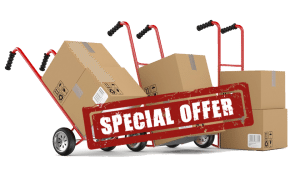 For the FIRST HOUR, you will get 2 movers at a discounted price of $49 (regular price @ $99)! That’s over 50% discount and $50 in savings!